(P1) The Russian gun maker Kalashnikov will move into fashion. Kalashnikov is one of Russia’s most famous companies. It makes the AK-47 rifle. The company said it has to make different things because Western countries stopped buying Russian weapons. This was because of the conflict in Ukraine. Before the conflict, Kalashnikov sold a lot of weapons to Europe and the USA. Kalashnikov’s fashion label will make ‘military style‘ casual clothing and accessories. The company also plans to open 60 clothes stores across Russia by the end of this year. (P2) Kalashnikov is not the first Russian arms company to sell clothes. A tank maker opened a shop in 2014 selling T-shirts, jackets, shoes and bags. Most of its products have images of its tanks on them. The Kalashnikov CEO said his company would still make most of its money from making guns. He said it would develop new products. He also wants to double the sales of guns by 2017. He added that the company would start making at least 10 new products. A marketing manager said Kalashnikov’s fashions could sell well because people want to support Russia. 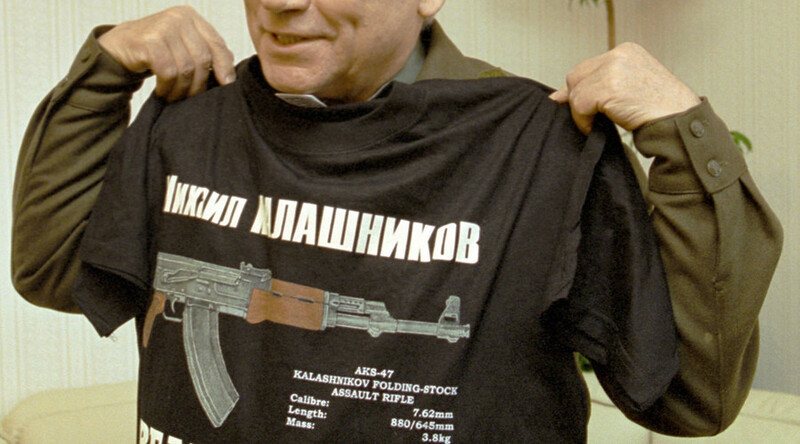 Would you buy clothes from Kalashnikov? Why or why not? Do you think it’s important for companies to offer different products? Why or why not? Are people allowed to own guns in your country? Why or why not? Tell me some of the famous companies in your country?